Cozy villa «4 cottages» provides holidaymakers with wonderful apartments for comfortable and carefree holiday in the picturesque and ecologically clean village of Koblevo. The holiday house includes accommodation for up to 6 people and consists of two bedrooms, which are equipped with modern air conditioning and plasma screens with satellite TV, Wi-Fi, and ironing facilities. There is an equipped kitchen with an electric kettle, a dishwasher, a stove, a coffee maker and a fridge. The bathroom has clean towels and bathrobes. There is the possibility of placing extra beds. Also, for comfortable rest of guests, on the territory there are gazebos, with everything necessary for barbecue, free parking and dining in the open air, where you can taste delicious food and enjoy pleasant weather. The location of the complex is by right considered one of the best in Koblevo. 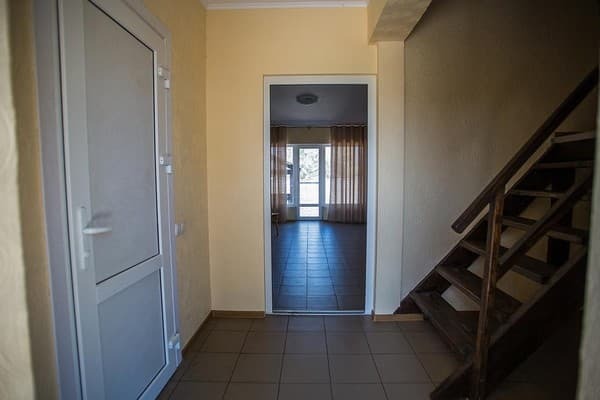 The distance from the house to the beach is 3 minutes walk, to the center of the village - 1 kilometer, next to the villa there is a supermarket. 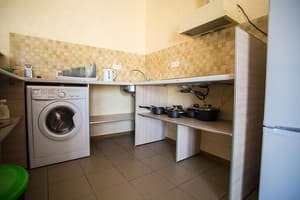 The complex "4 Cottages" is located 45 kilometers from the airport "Odessa" and 38 kilometers from the center at the address: Koblevo village, Kurortny prospect, 8. You can reach the place by taxi, indicating the exact coordinates. All children are welcome. Is free! All children under 2 years stay free of charge for cots. Is free! All children under 12 years stay free of charge for extra beds. Is free! All further older children or adults are accommodated on extra beds. Maximum capacity of extra beds in a room is 1. Extra beds and baby cots are available on request. Need to be confirmed by the hotel for this service. The distance from the house to the beach is 3 minutes walk, to the center of the village - 1 kilometer, next to the villa there is a supermarket. 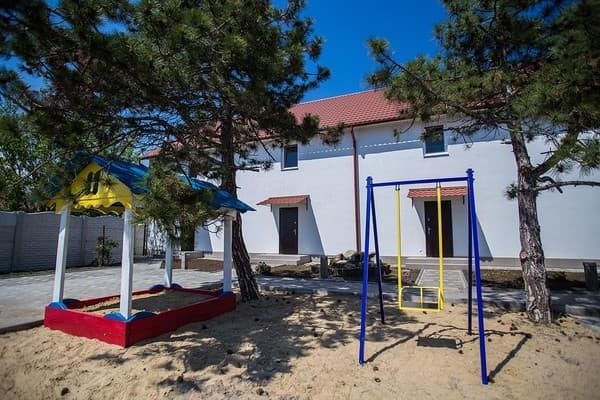 The complex "4 Cottages" is located 45 kilometers from the airport "Odessa" and 38 kilometers from the center at the address: Koblevo village, Kurortny prospect, 8. You can reach the place by taxi, indicating the exact coordinates.